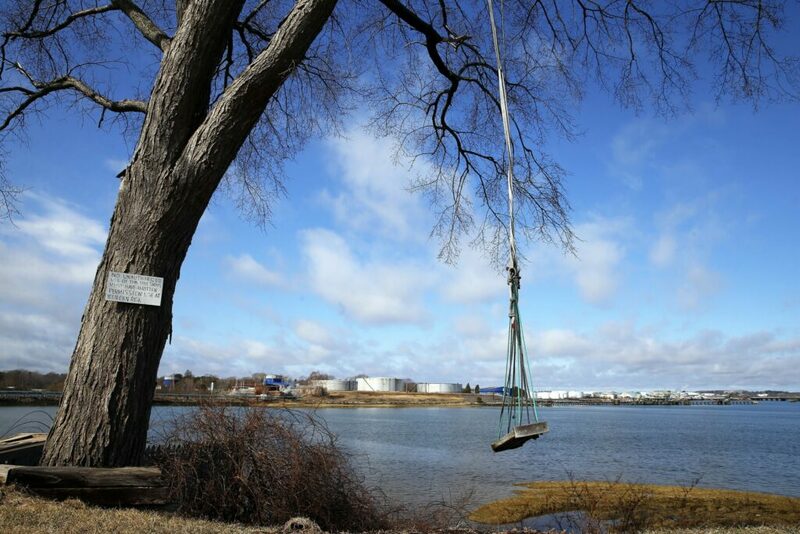 SOUTH PORTLAND — A noxious odor hung over the Pleasantdale neighborhood one evening last week, undisturbed by a brisk spring wind that swirled dead leaves down the length of Elm Street. 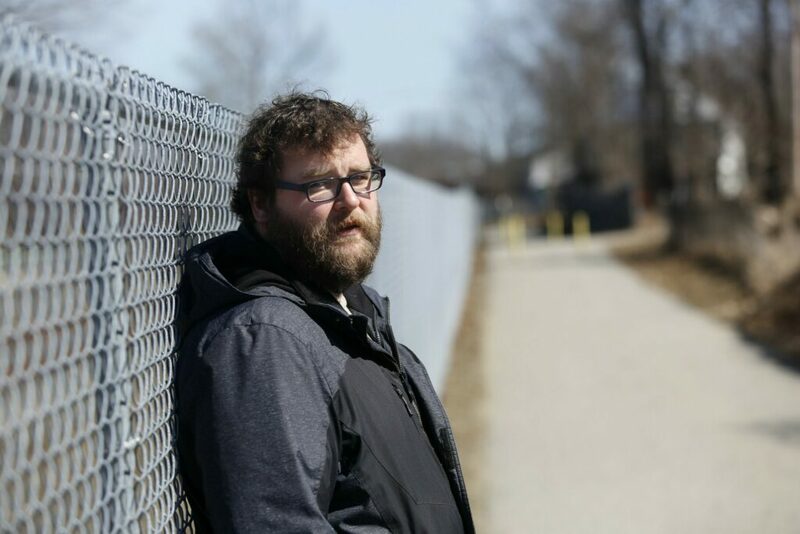 Something like hot tar or burning rubber, the smell shocked the sinuses, provoked coughs and lingered in the nostrils long after this reporter left the residential area off Broadway, on the banks of the Fore River. The origin of the odor was unclear. Residents here say it’s often hard to tell. The neighborhood is wedged between two bulk petroleum storage facilities, and three other petroleum companies have tank farms nearby. To the east, at the end of Elm Street, Citgo operates 10 massive fuel storage tanks. To the west is a 10-tank facility operated by Global Partners LP, a Massachusetts company recently charged with violating the federal Clean Air Act. The U.S. Environmental Protection Agency says the South Portland terminal has for years exceeded its emissions cap for hazardous volatile organic compounds, or VOCs. Now, neighbors fear that the air they breathe is not only a smelly nuisance, but that it also may be harming them, their children and the wider global environment. And they are caught between federal and state officials who disagree over what appears to be the changing science of pollution testing and have so far refused to meet with the community to answer questions. As bad as the odor was last Wednesday evening, it wasn’t as bad as it gets, said Nathan Davis, who lives on Elm Street with his wife and young children. It’s often worse on warm summer nights, when people in other neighborhoods can sit in their backyards or open their windows to catch a cool breeze. Davis was one of 35 residents who spoke at last Tuesday’s council meeting, raising concerns about various health and quality of life impacts posed by more than 100 bulk petroleum storage tanks that have existed in South Portland for decades. City officials scheduled the workshop after being surprised when the EPA filed a lawsuit and consent decree against Global on March 25 in U.S. District Court in Portland. City officials and residents say they should have been told long ago about the alleged violations and health risks. 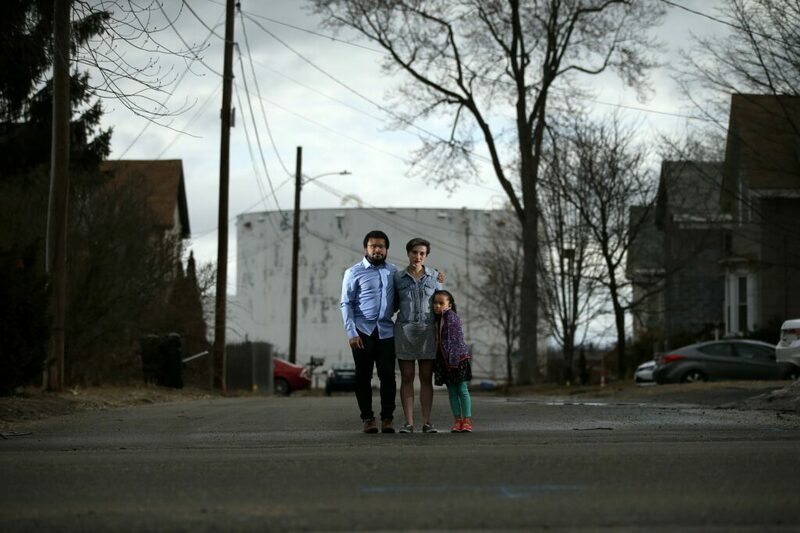 The controversy has highlighted community health, odor, noise, traffic and other concerns related to tank farms in South Portland that have been largely ignored for years. And it has undermined confidence in the state and federal agencies that issue and oversee emissions licenses, which are granted through a cooperative arrangement that allows petroleum companies to pollute to certain levels based on data they submit on themselves. Global stores liquid asphalt and No. 6 heavy residual fuel oil in huge heated tanks that have the potential to emit more than 50 tons of VOCs into the air each year, the EPA contends in its lawsuit. That’s more than double the 21.9 tons per year allowed under an emissions license issued by the Maine Department of Environmental Protection in 2013. VOCs include a variety of chemicals that can produce adverse health effects such as eye, nose and throat irritation, headaches, nausea, and damage to the liver, kidneys and central nervous system, the EPA said. The consent decree outlines the terms of a proposed settlement that would force Global to pay $190,000 in penalties and reduce emissions at its facility off Lincoln Street, at the end of Clark Road, near Forest City Cemetery. Residents at last week’s meeting expressed anger and confusion about the lawsuit and proposed settlement, especially after the city’s attorney said the Maine DEP doesn’t agree that Global violated its emissions license. “Whether it was actually a violation or not, there really is no safe level of VOCs,” said Kate Adamy of Elm Street. She attended the council meeting with her 15-year-old stepdaughter, Ava Gleason, who said the oil storage tanks violate her human rights. The city has hired Paul Driscoll and Adrian Kendall, lawyers with Norman Hanson DeTroy of Portland, to help decipher the complex lawsuit and draft the city’s response to the consent decree with the U.S. Department of Justice by May 1. Kendall said the EPA’s Region 1 office, which oversees New England, used a new methodology to assess Global’s VOC emissions that hasn’t been scientifically substantiated, accepted or adopted by the Maine DEP. The new modeling added a vacuum calculation the “AP 42 Compilation of Air Pollutant Emission Factors,” Kendall said. Adopted in 1968 and last updated in 2010, AP 42 is the manual for calculating emissions estimates from various air pollution sources. It usually accounts for the weight, volume, distance or duration of air pollution, according to the EPA website. EPA Region 1 applied the vacuum factor to calculate the flow rate of Global’s emissions under certain conditions, Kendall said. A vacuum exists when the pressure in a space is well below normal atmospheric pressure. Further, Kendall said, the state agency hasn’t taken enforcement action against Global because it doesn’t appear that a violation has occurred based on data the company submitted to the Maine DEP. According to data that Global submitted to the Maine DEP, its VOC emissions were below the 21.9 ton annual cap from 2012 through 2017, reaching 19.67 tons in 2016 and 18.05 tons in 2017. The EPA’s complaint says Global received violation notices from the federal agency in 2014 and 2015. Continuing high levels of volatile organic compounds were flagged again in 2016, when Global sought a “minor revision” to its emissions license from the Maine DEP. Both EPA and Maine DEP officials turned down invitations to last week’s council meeting, and they declined to be interviewed for this story, including Cone, who was asked to simply explain the difference between the two methodologies used to measure Global’s VOC emissions. Global officials also dispute the EPA’s allegations, but they decided to settle to avoid going to court, said Dylan Remley, Global’s senior vice president of terminal operations. 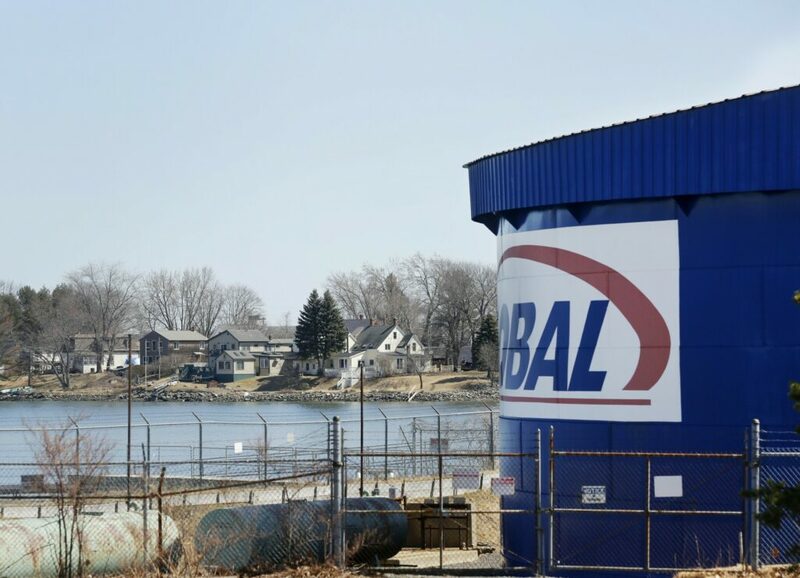 Based in Waltham, Massachusetts, Global is a publicly traded Fortune 500 company with 2,500 employees that markets and distributes various petroleum products across the Northeast and beyond, generating over $12 billion in revenue annually, MarketBeat.com reports. Global operates or supplies more than 1,400 gas stations and convenience stores and has 24 bulk petroleum storage facilities with capacity for 10 million barrels. The South Portland facility has been in operation since 1915 and was acquired by Global in 2001, company officials said. It also handles ultra low sulfur heating oil and kerosene. Tom Keefe, Global’s vice president of environmental health and safety, explained that cooperative relationship to the council. Keefe said Global’s emissions license from the Maine DEP was based on the company’s estimates for future emission levels. Global then submits annual emissions reports based on the company’s calculations. Despite its collaborative approach, Global has faced enforcement, legal and business development troubles in other states. In 2016, the EPA charged Global with violating a 40-ton annual cap on VOC emissions at its crude oil rail transportation facility at the Port of Albany in New York, Politico reported. The EPA said Global intentionally reported lower emissions at the Hudson River facility in order to get a license that nearly quadrupled the crude it could handle, much of it North Dakota shale oil destined for refineries in the Canadian province of New Brunswick. Last year, Global dropped a 5-year-old lawsuit against the New York Department of Environmental Conservation and gave up plans to build a heated facility at Albany that could handle Canadian tar sands, the Albany Times Union reported. In 2015, the Oregon Department of Environmental Quality hit Global with a $102,292 fine after it moved 300 million gallons of North Dakota crude through its rail terminal at Port Westward and onto ships bound for West Coast refineries. The violation occurred in 2014, when the company was licensed to move only 50 million gallons, the Oregonian reported. Community concern was heightened at the time, following three high-profile oil train explosions in 2013, including an accident that killed 47 people in Lac-Mégantic, Quebec. Before reaching a settlement on the fine, wherein Global denied wrongdoing, the Oregon agency issued a new air quality permit that allowed the company to handle over 1.8 billion gallons per year – a massive increase that was dependent on major rail improvements. Under the proposed settlement in South Portland, Global must pay a $40,000 fine and invest at least $150,000 in a program to replace or upgrade wood stoves in Cumberland County. The program would provide vouchers to help people replace or retrofit older wood-burning stoves with cleaner-burning, more efficient heating equipment. Global is liable to pay civil penalties ranging from $32,500 per day for each violation after March 15, 2004, to $97,229 per day for each violation after Nov. 2, 2015, the EPA’s complaint says. Global also must apply for a revised license from the Maine DEP and take steps to reduce VOC emissions at the facility. The revised license would limit the amount of petroleum products that could pass through the facility each year to 75 million gallons of asphalt and 50 million gallons of No. 6 heavy oil on a rolling 12-month basis, according to the consent decree. Global also must install petroleum mist eliminator systems on four heated tanks to address local air impacts and implement a program of at least 120 “non-heating days,” when one of the tanks isn’t heated for 24 hours. The tanks are heated to keep the petroleum products liquid. Keefe, Global’s environmental health and safety chief, told the council that while Maine DEP doesn’t require mist eliminators, they “should” reduce emissions and odors from the heated tanks. For Kaitlyn Parsons, the city’s petroleum problems extend beyond Global’s VOC emissions lawsuit. She lives a few houses away from the Citgo tanks. She hears fuel trucks rumble up and down Elm Street all through the night. When the petroleum odor is too strong, she doesn’t let her daughter Zora play outside. “I feel these companies should be held accountable for what they’re doing to the neighborhood and how it affects families who live here,” Parsons said. The council has scheduled another workshop in two weeks to review its response to the consent decree, which is subject to court approval and a 30-day public comment period that started Monday. The council also plans to hold an executive session Tuesday to consider other legal actions the city might take. Residents at last week’s meeting urged the council to be vigilant and uncompromising in seeking a fair settlement from Global. They said they were insulted by the proposed fine and the wood-stove upgrade program. Instead, they said, Global should pay for an air quality system that would monitor and control emissions from all bulk oil storage tanks in the city. The EPA offered the city a grant to do something similar a few years ago but it never came through. Residents also called for a local air quality ordinance, similar to regulations in Huntsville, Alabama; Rapid City, South Dakota; and San Antonio, Texas. Federal and state regulations seem to fall short for many people, especially when the petroleum companies self-report and aren’t required to modernize their facilities. Nathan Oliver and his family live on Atlantic Avenue, next to the Citgo tank farm, in a house that was built in 1900. Like many who live in the neighborhood, Oliver said there was no odor when he and his wife looked at the house before buying it in 2017, and the real estate agent assured them the tanks were closely regulated.